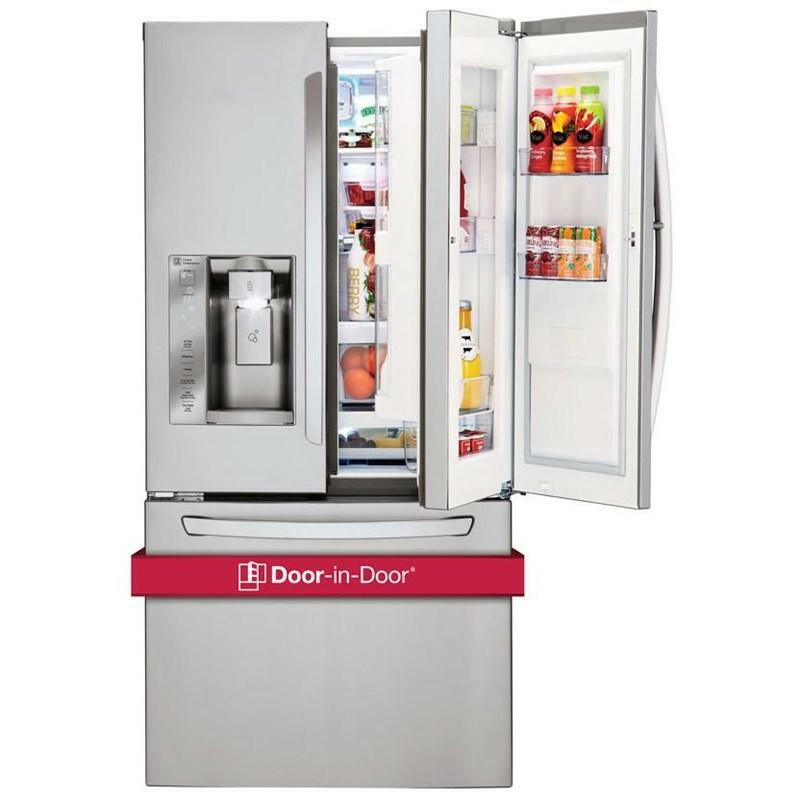 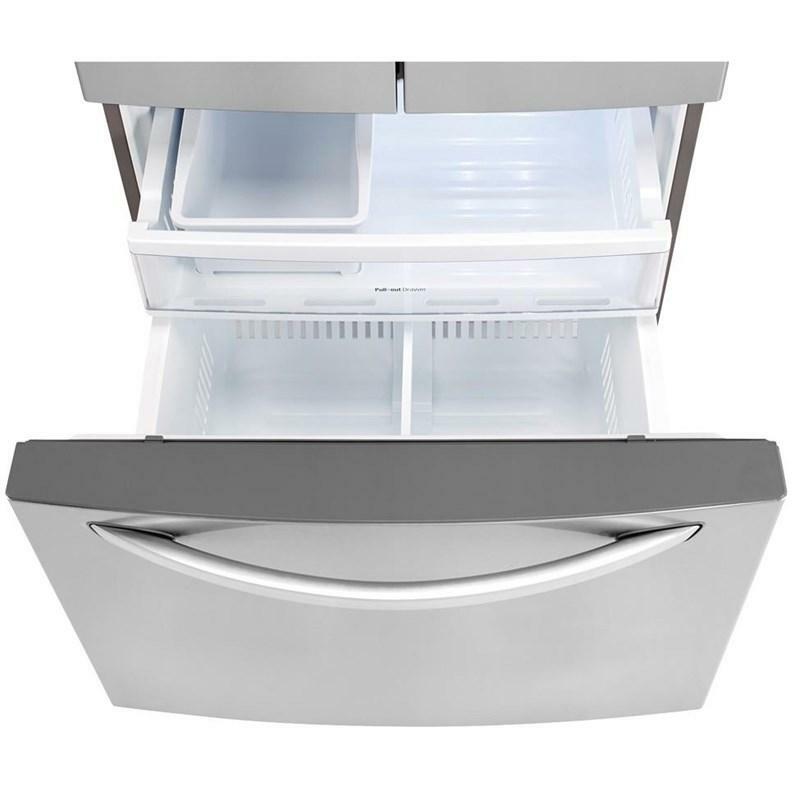 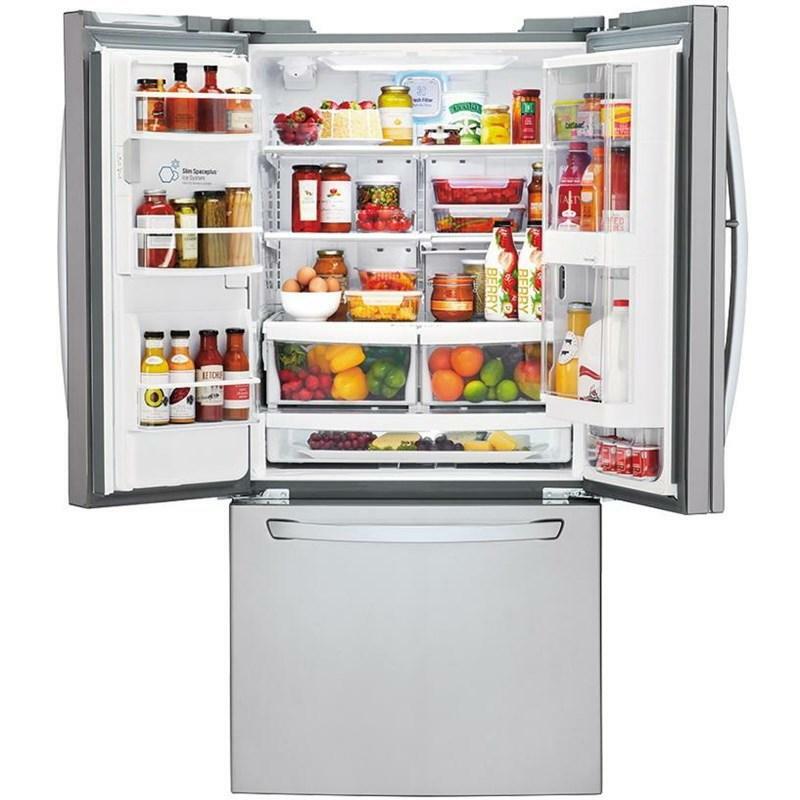 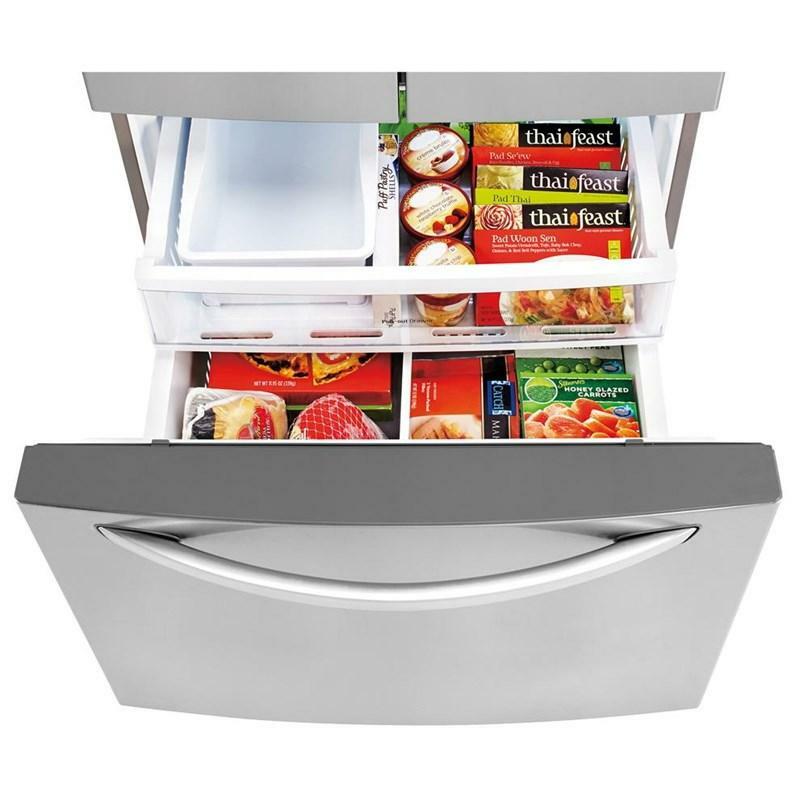 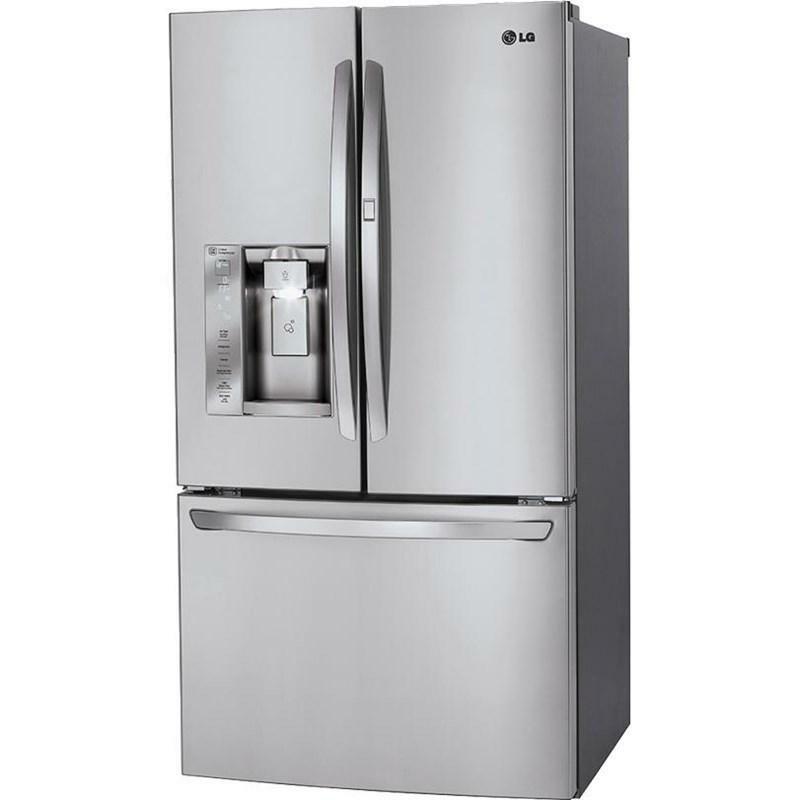 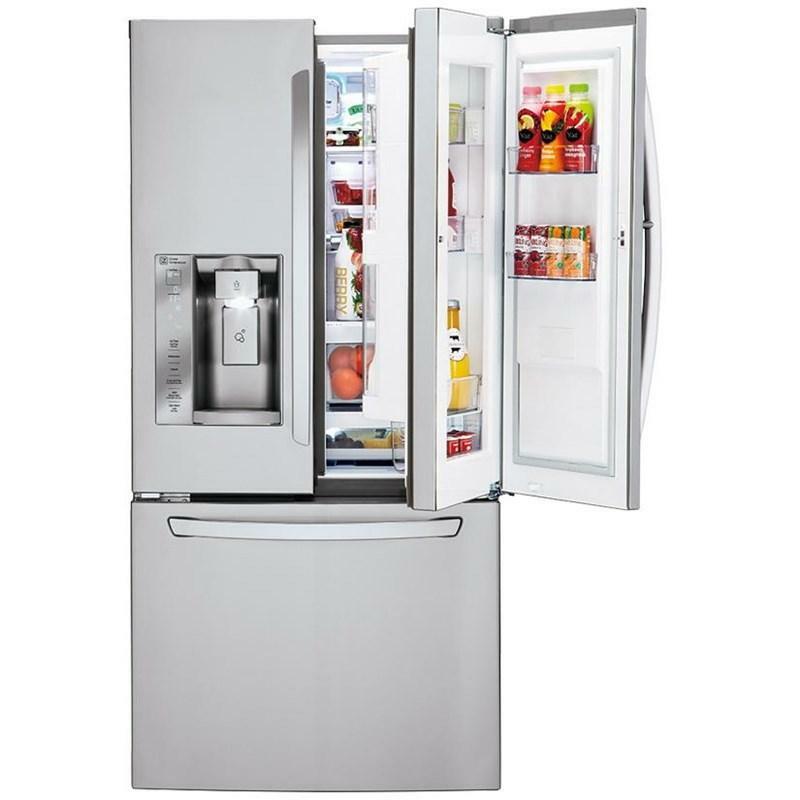 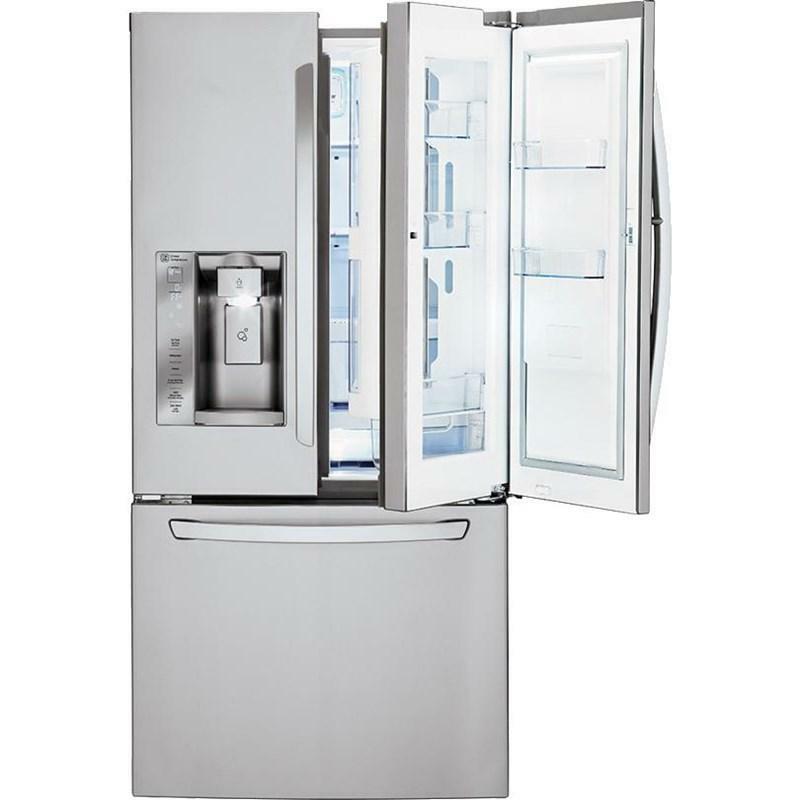 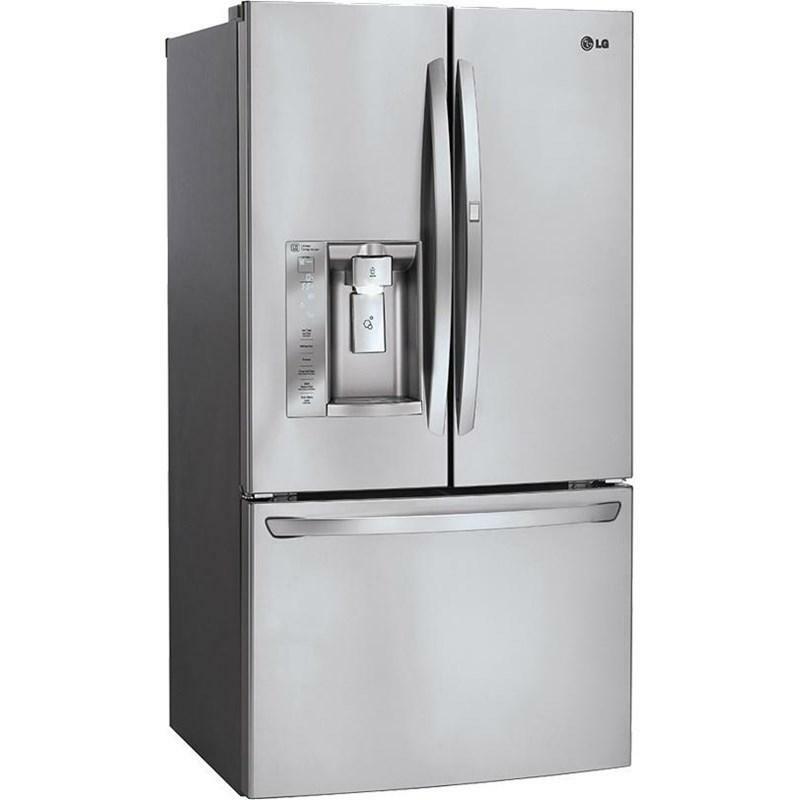 This LG 33-inch french door refrigerator is equipped with an external water and ice dispensing system. 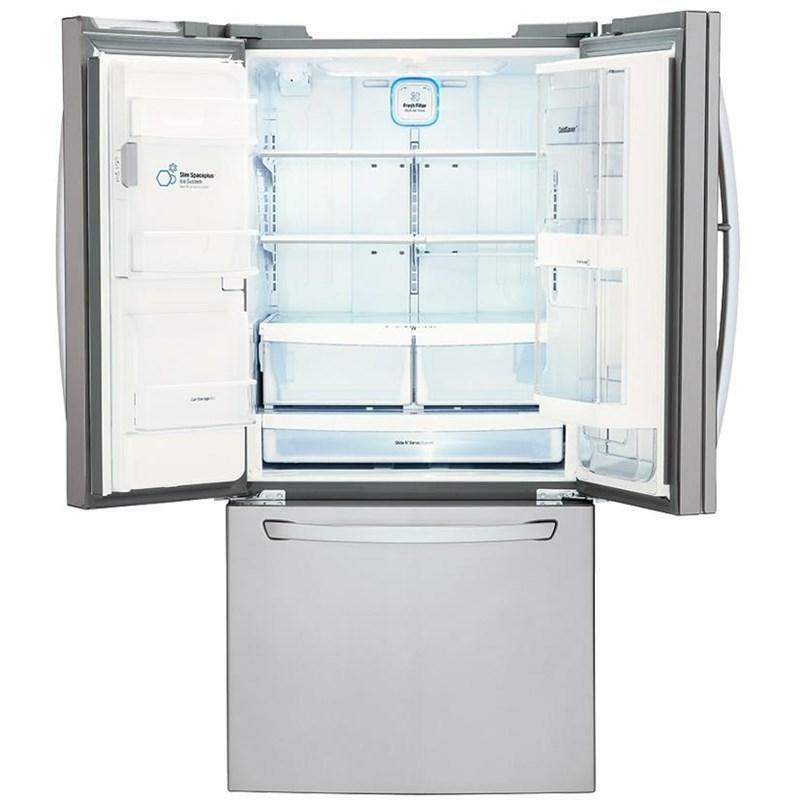 This model also features the Smart Cooling system, the Door-in-Door® design, SmartDiagnosis™ and two humidity crispers. 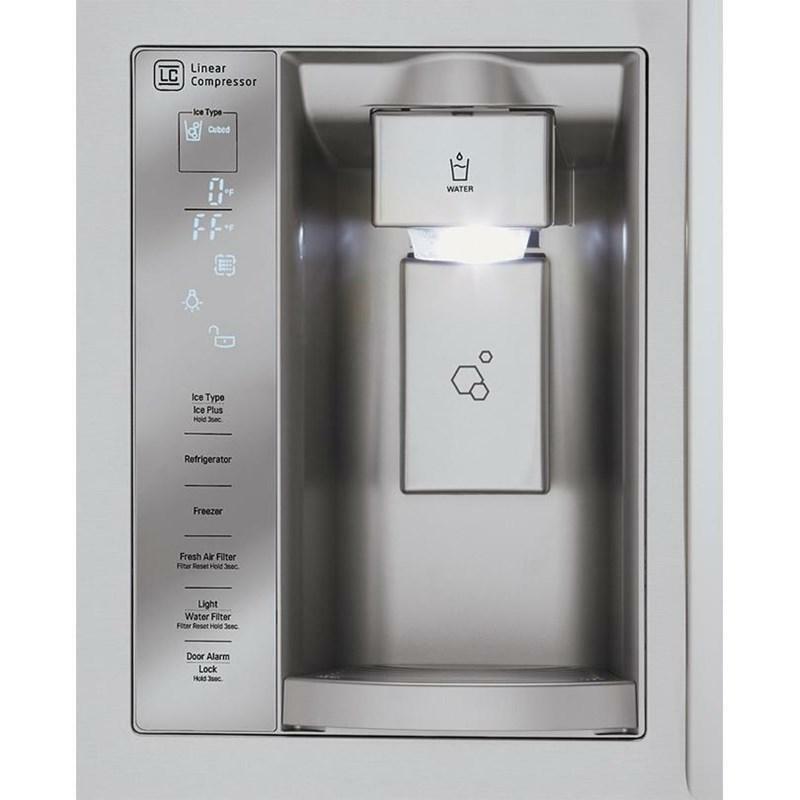 • Water Filtration System Compact Filter LT700P. 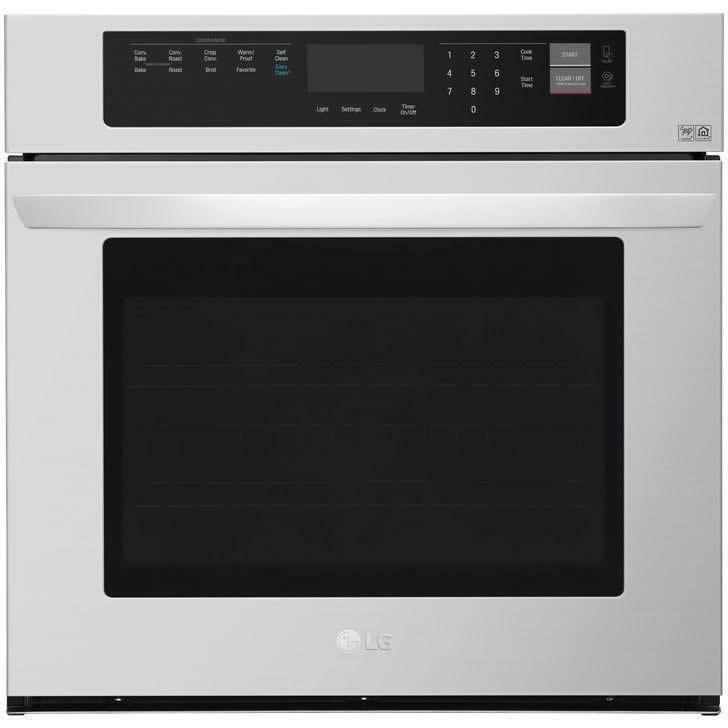 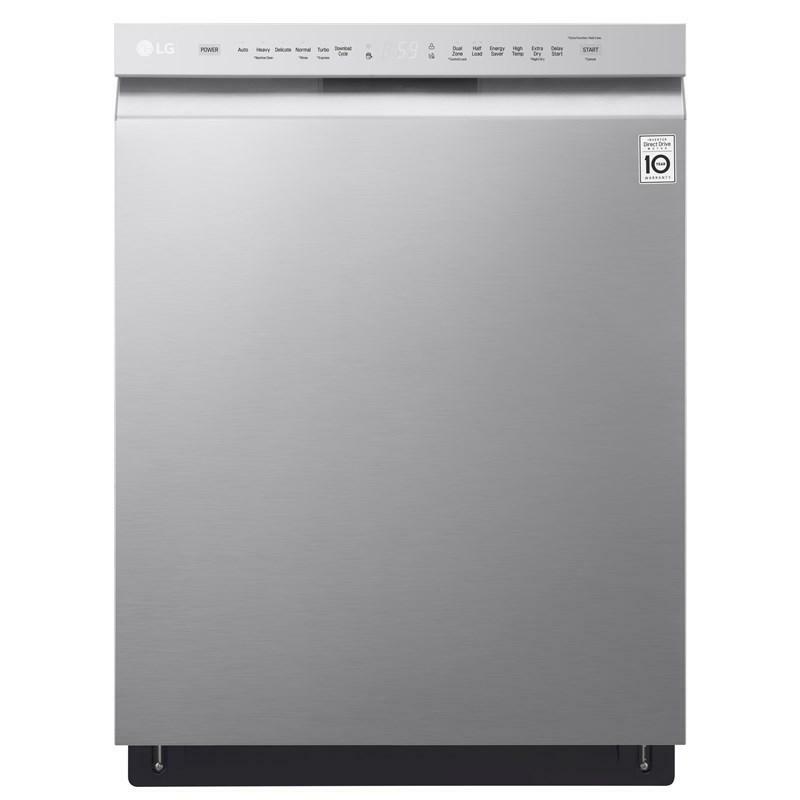 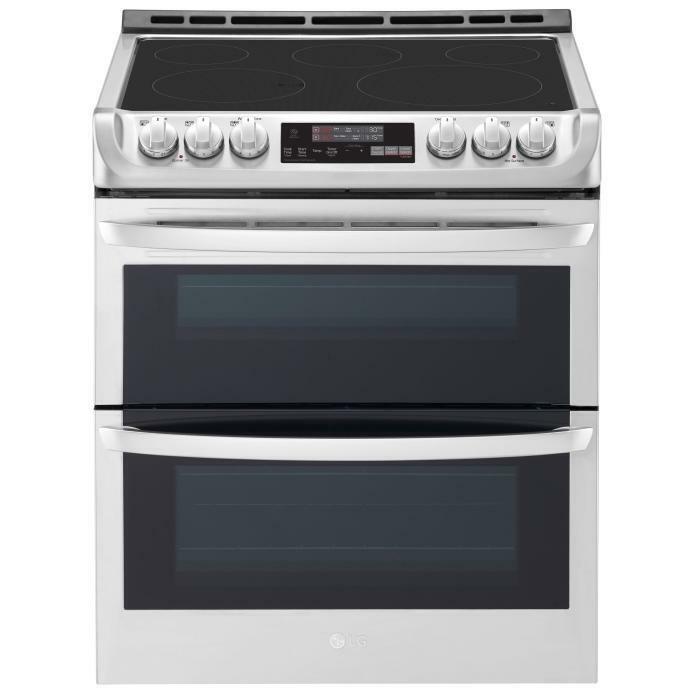 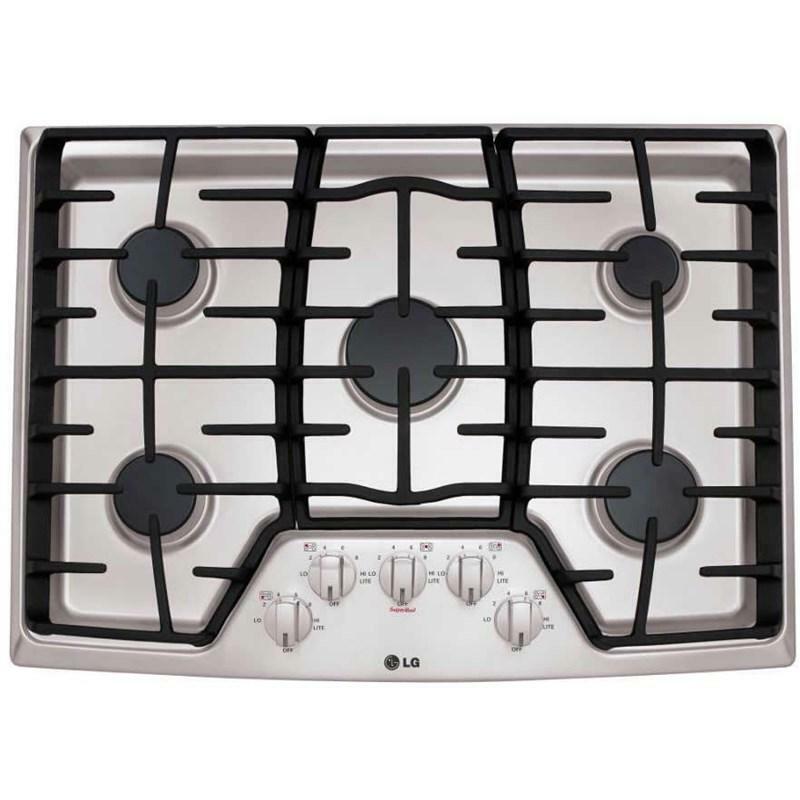 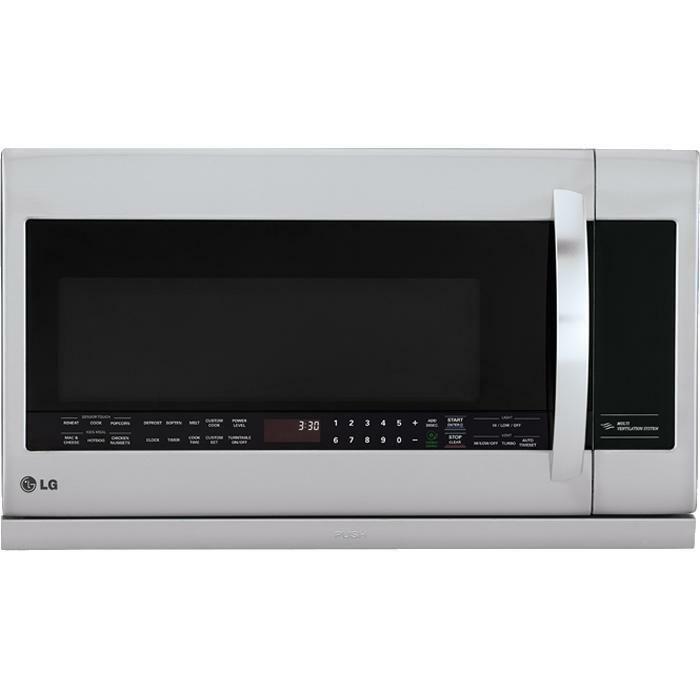 • Height to Top of Case: 68 5/8"
• Installation Clearance: Sides 1/8", Top 1", Back 1"
This LG 30-inch slide-in electric double oven range features ProBake Convection®, EasyClean®, Wi-Fi compatibility, 5 cooktop elements and a 7.3 total capacity.